NASCAR Fans Should Learn About Wendell Scott Writer Mary Curtis says Wendell Scott, the only black driver to win a top level NASCAR race, should be properly recognized in the soon-to-open NASCAR Hall of Fame. Curtis says its not enough to recognize his victory; she wants fans to also learn about his struggle as a black man. 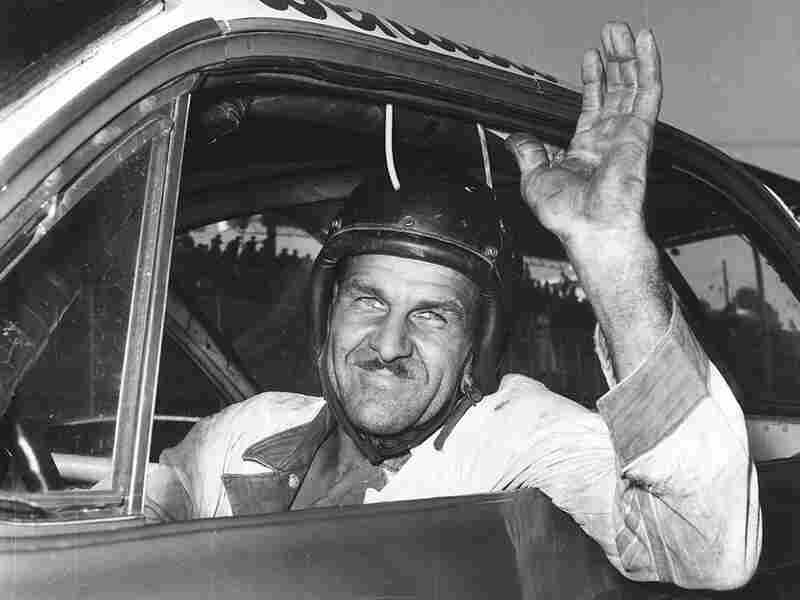 Writer Mary Curtis says Wendell Scott, the only black driver to win a top level NASCAR race, should be properly recognized in the soon-to-open NASCAR Hall of Fame. Curtis says its not enough to recognize his victory; she wants fans to also learn about his struggle as a black man. Wendell Scott won only one NASCAR Grand National race during his 40-plus year career, the 200-mile event at Jacksonville Speedway in Jacksonville, Florida on December 1, 1963. Finally, NASCAR fans are revving their engines, counting down to the opening day of the sport's new Hall of Fame next spring. But commentator Mary Curtis says the Hall is getting off to a false start by denying due recognition to pioneering African-American driver Wendell Scott. Ms. MARY CURTIS: You'd think that NASCAR officials would have a little more faith in the fans. After all, the men and women who spend days camping out on the infield can handle some truth. Does NASCAR think those same fans won't come to their brand new Hall of Fame unless this tribute Wendell Scott is a whitewash? Pardon the pun. Scott, the only black driver ever to win a top level NASCAR race, made history as he stubbornly devoted himself to a sport that didn't want him. That the Virginia native rose as far as he did, ranked number six in points in 1966, is amazing. Scott, who died in 1990, won the respect of other drivers and fans and Richard Pryor played him in the 1977 movie, "Grease Lightning." And yet, the director of the new 146 million dollar NASCAR Hall of Fame told The New York Times that its Wendell Scott section is not expected to delve into the really rough stuff the driver endured. A spokesperson told me that the Hall will let the artifacts tell the story. So folks out there with Wendell Scott souvenirs, send them in. With frequently changing exhibits, there might even be a major show on Scott in the future, the Hall says. That's a positive sign as the facility takes shape. As the clock on the NASCAR Hall of Fame website ticks down to the grand opening in Charlotte, North Carolina in May 2010, this is not what the sport wants to talk about. I'm sure NASCAR's best would rather not moderate debates in the blogosphere over Scott's omission on the first Hall of Fame ballot. Instead, officials celebrate the sport's diversity efforts then downplay the racial slights that still dog drivers and crewmembers. It's 2009. Now NASCAR is mainstream and family-friendly. It's come a long way from the moonshine-running roots that the Hall says it will not shy away from. Just last week, President Obama honored Sprint Cup champion Jimmie Johnson, his number 48 parked right there at the White House. Top drivers attended. Even the same Richard Petty Wendell Scott zoomed by in the 1963 Jacksonville, Florida race that denied him a proper victory celebration. You've made it NASCAR. Don't be afraid that truthful recognition of one of your sports pioneers will scare away your base. Who knows, you might keep those fans and earn new ones. NASCAR says it wants to diversify in the stands and on the track. But if it's serious about its future, it has to be brutally honest about its past. LUDDEN: Mary Curtis is a writer living in Charlotte, North Carolina. And that's our program for today. I'm Jennifer Ludden and this is TELL ME MORE from NPR News. Let's talk more tomorrow.